China has urged the two nations to work on their bilateral ties on their own to increase mutual trust. Beijing: China, on June 20, distanced itself from its envoy’s comments on the idea of trilateral cooperation between India, China and Pakistan under the aegis of the SCO, but underlined the importance of strengthening of dialogue between New Delhi and Islamabad to improve mutual trust. Chinese Ambassador to India Luo Zhaohui on June 18 endorsed the idea of trilateral cooperation between India, China and Pakistan under the aegis of the Shanghai Cooperation Organisation (SCO), saying it could “in the future” help resolve bilateral issues between New Delhi and Islamabad and help maintain peace. Chinese Foreign Ministry spokesman Geng Shuang, when asked about Luo’s comments, said both India and Pakistan are China’s friends and neighbours. “We are willing to conduct relations with all our neighbours including Pakistan and India to strengthen our cooperation for better development and stability in this region. “We also hope India, Pakistan can strengthen their dialogue to improve mutual trust in their bilateral relations. This is in the interest of the regional countries,” he said. Asked whether China is distancing from Luo’s remarks, Geng said “what I said represents the official position of the Chinese side”. He also declined to answer a question on the Chinese Embassy erasing envoy’s comments from the transcript posted on the website. 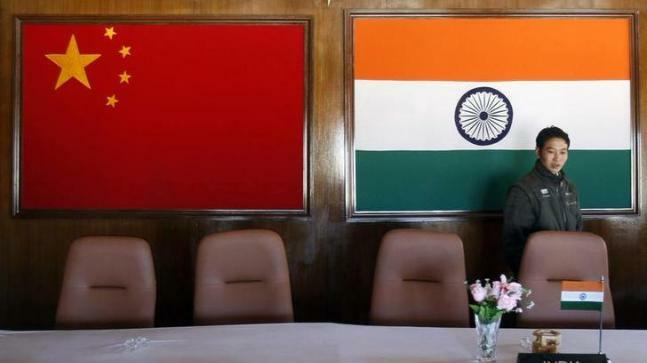 The Chinese envoy to India had also said that bilateral ties between India and China can’t take the strain of another Dokalam episode and emphasised the need to find a “mutually acceptable solution” on the boundary issue through a meeting of Special Representatives. Luo said “some Indian friends” had suggested trilateral cooperation comprising India, China and Pakistan under the aegis of the SCO, which was a “very constructive idea”. “Security cooperation is one of the three pillars of the SCO. Some Indian friends suggested that China, India and Pakistan may have some kind of trilateral cooperation under the SCO,” he said in his keynote address on ‘Beyond Wuhan: How Far and Fast can China-India Relations Go’ at an event organised by the Chinese Embassy in New Delhi. 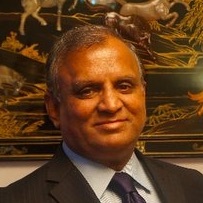 Responding to a question on whether a trilateral meet between the Asian neighbours will help in solving the India-Pakistan dispute, he said he personally considers it “a good and constructive idea”. This is the second time China shied away from backing Luo. In May 2017, Lou offered to rename the China Pakistan Economic Corridor (CPEC) to accommodate India’s concerns at a meeting a New Delhi. His comments on the issue was subsequently removed from the transcript posted on the website of the Chinese embassy apparently following objections from Pakistan. The Chinese envoy’s remarks came after Indian Prime Minister Narendra Modi and Pakistani President Mamnoon Hussain exchanged pleasantries following a press conference by the leaders of the SCO in Qingdao last week. Reacting to Luo’s remarks about a possible trilateral summit, India’s Ministry of External Affairs in New Delhi said matters related to India-Pakistan ties are “purely bilateral in nature” and have “no scope for involvement of any third party”. In response to queries on the comments made by Luo, MEA spokesperson Raveesh Kumar said: “We have seen reports on comments made by the Chinese ambassador in this matter. We have not received any such suggestion from the Chinese government.